Moth orchids (Phaelenopsis) vary slightly in their flowering habit. 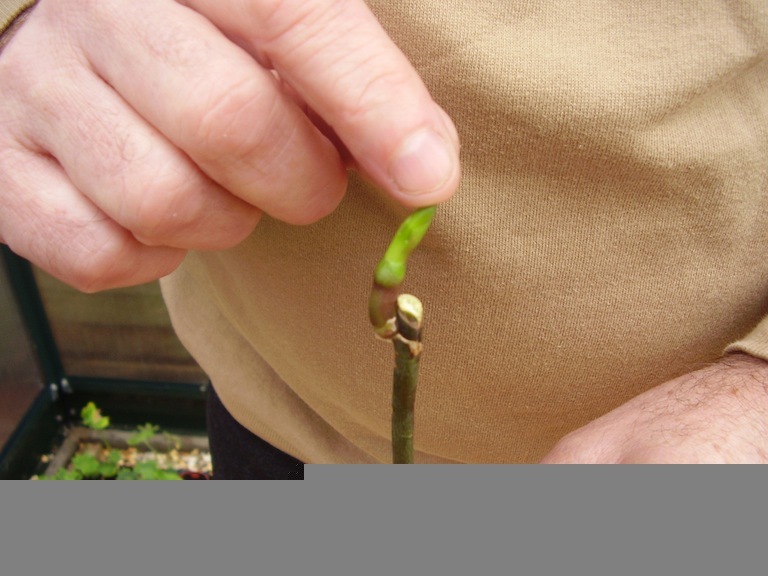 Some produce another batch of flower buds at the tip of the current flowering stem, while others produce side shoots from lower down the stem, especially if you cut the stem back. Occasionally, instead of flower buds, a miniature plant is produced, known as a Keiki (Hawaiian for baby). 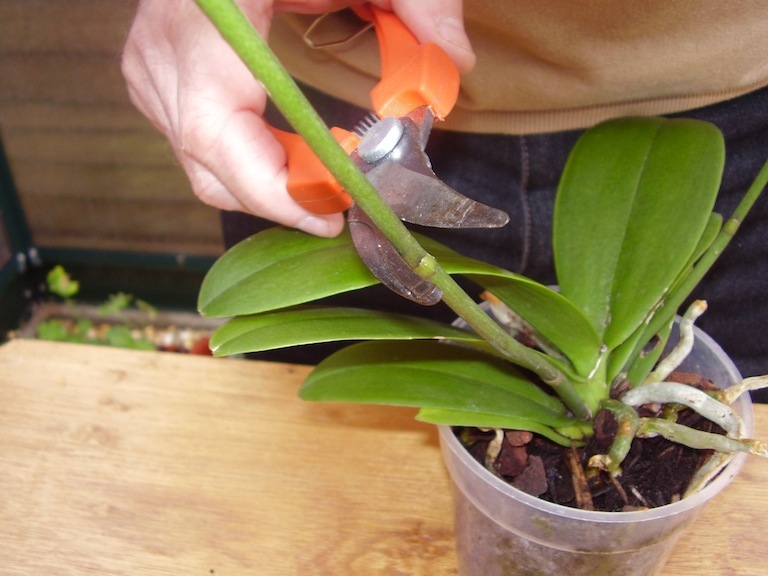 Secateurs, pot, orchid compost, plastic bag, rubber band. 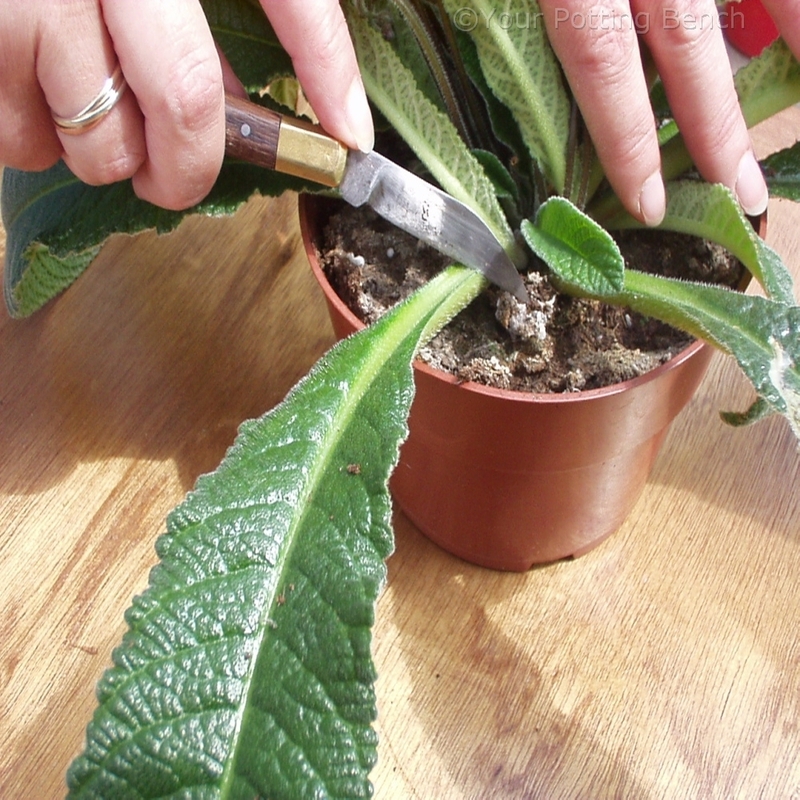 If your plant does not produce more buds at the tip of the flowering shoot, trim it back to just above the top stem bud. 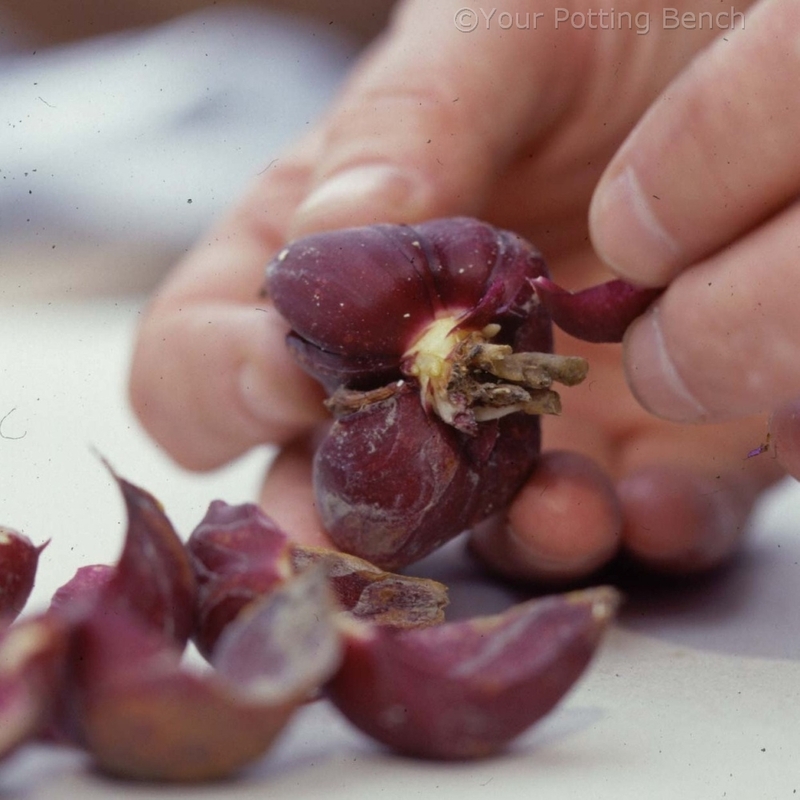 Instead of a flowering shoot, you may get a new plant forming, known as a Keiki. 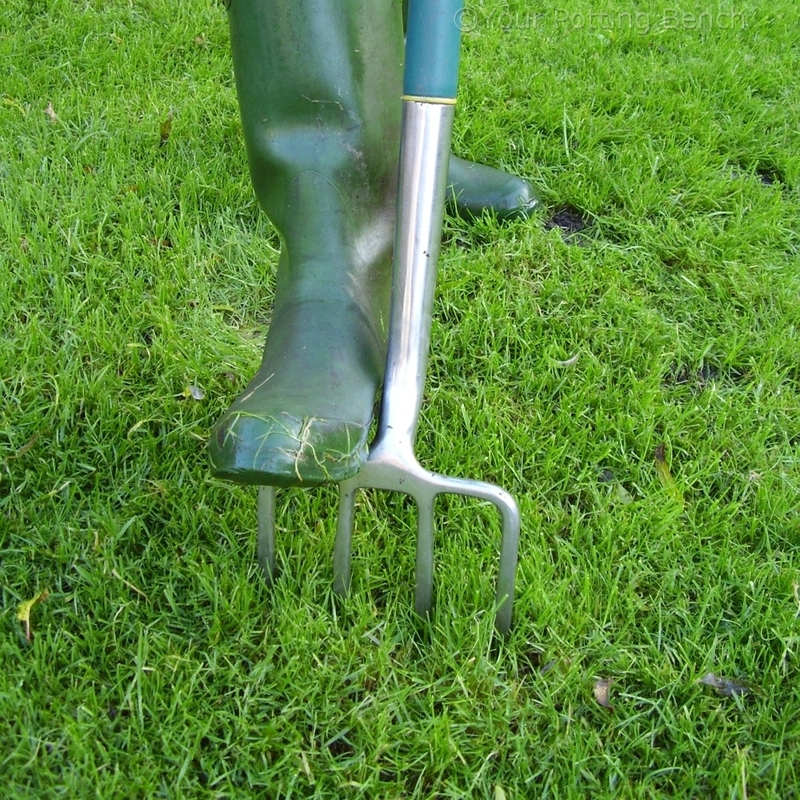 Once this has grown roots, it can be removed from the parent plant. 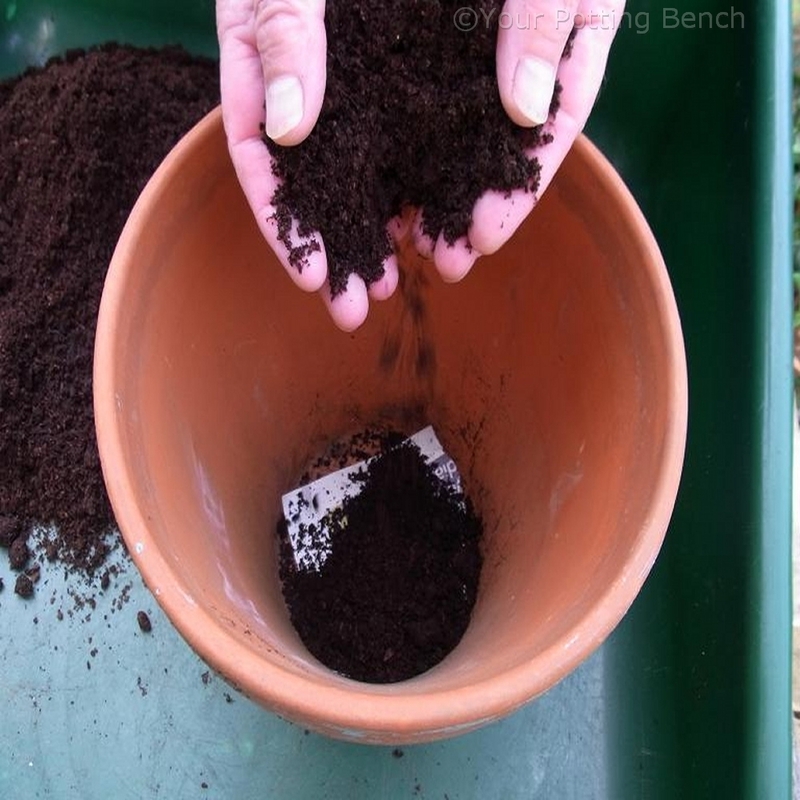 Take a short section of stem with it, as this helps anchor it into a pot of compost. 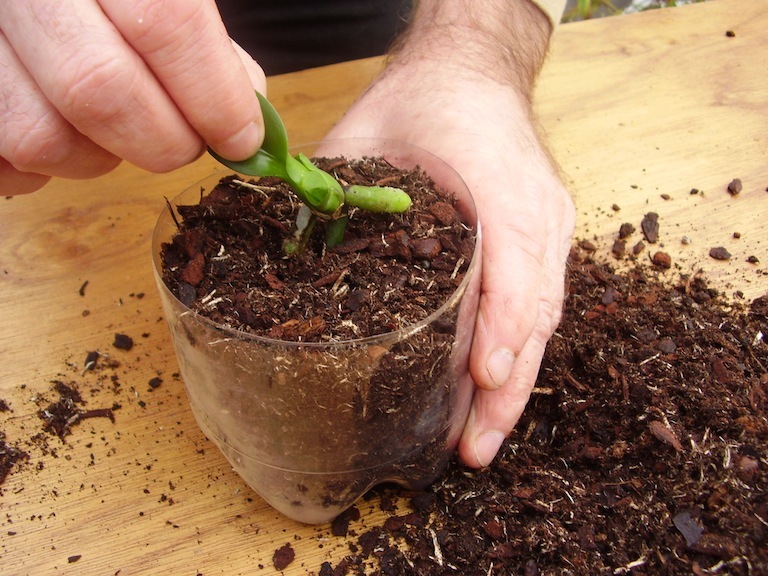 Pot it into moist orchid compost and cover with a plastic bag, held in place with a rubber band to keep it humid while it establishes. 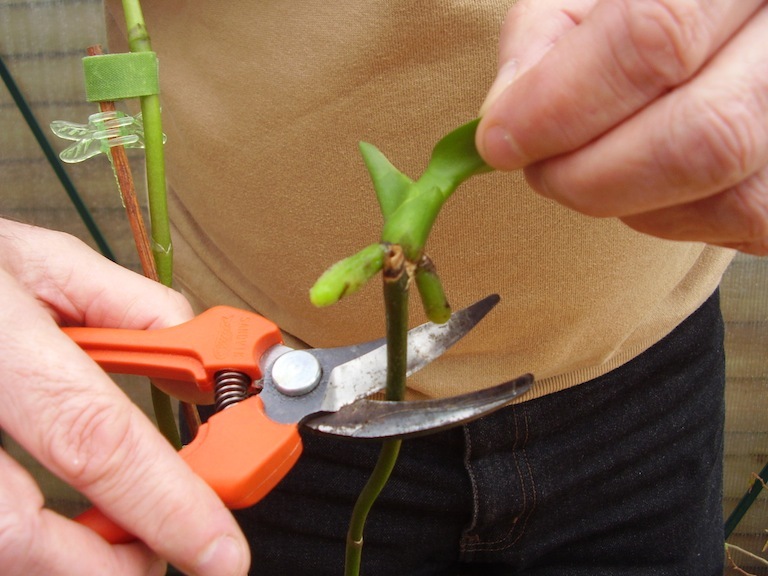 Within a few weeks, it should begin to grow and can be treated the same as other orchids.